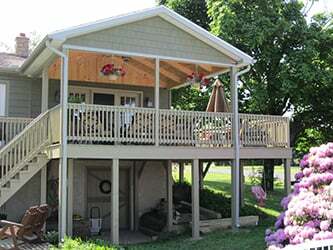 Get the best construction solutions for your home and business when you contact Valley View Construction. We are the trusted construction experts of homeowners and business owners in Richfield, PA and the surrounding communities. Hire us for your next project and rest easy knowing that your special requirements will be properly taken care of by experienced professionals. Should you have any questions about our construction company and the services we offer, let us know. Send us an email or give us a call using the featured contact information. Our support staff is ready to address your concerns. We look forward to partnering with you in your next construction or remodeling project.